George Orwell did to Wigan about what John Steinbeck did to Oklahoma. 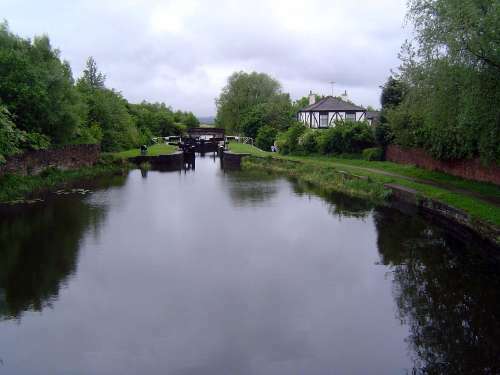 The Road to Wigan Pier says very little about Wigan itself, yet the public, for the most part without reading the book, seems to have concluded from Orwell that Wigan was not only poor but disgustingly so. The damage lingers even today, when the mines and mills are closed. 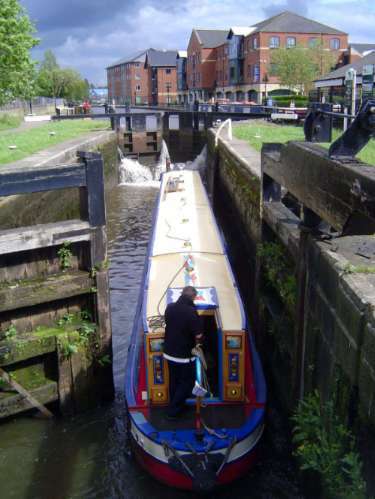 We begin slightly over a mile to the east, at Top Lock, the high point on a flight of 20 water steps down to Wigan. 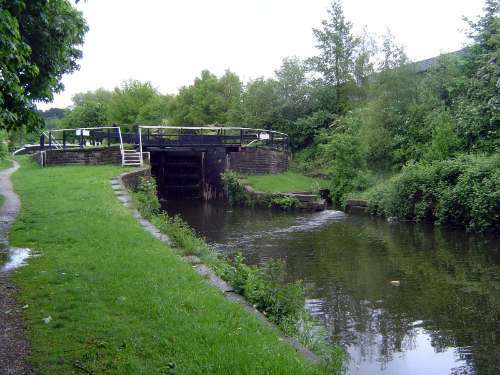 It's all part of the Leeds and Liverpool Canal, begun in 1770. 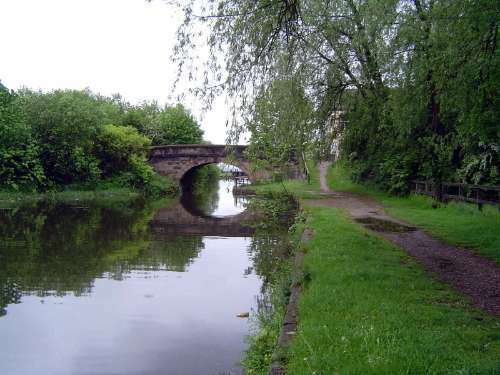 The canal reached Wigan in 1774 but wasn't finished until 1816. 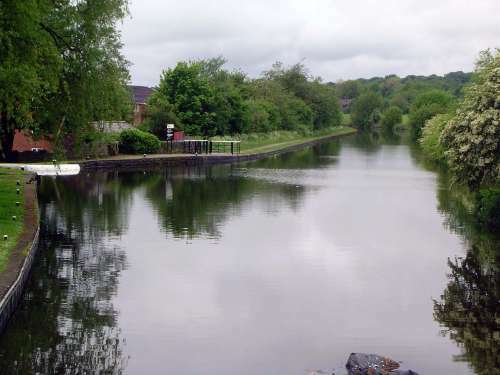 The slope of the canal is steep enough that the space between locks is no more than an oblong pond. The steps are high, too. 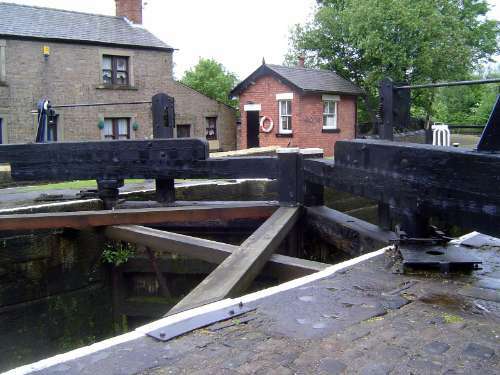 Heavy reinforcing timbers protect the lock gates. 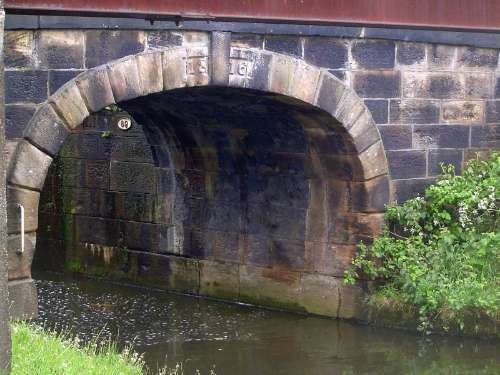 From time to time, an old bridge crosses the canal. Bump, bump, bump, down the hill: that's Wigan in the distance, with the spire. 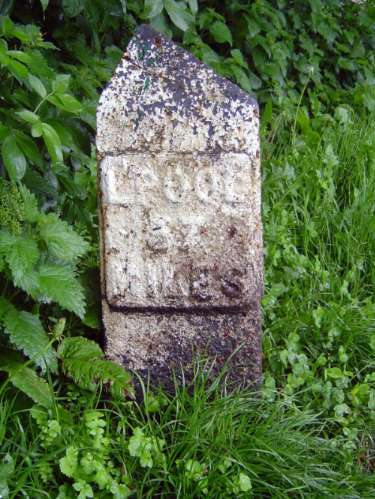 An old milepost: L'pool, 37 miles. 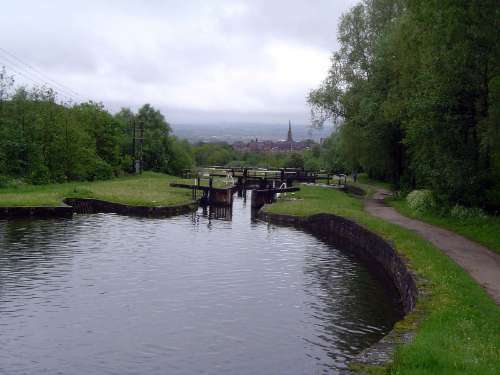 We're down in the flats now; or at least at a place where the locks are sporadic. We're almost ready to swing the door shut and fill the lock. 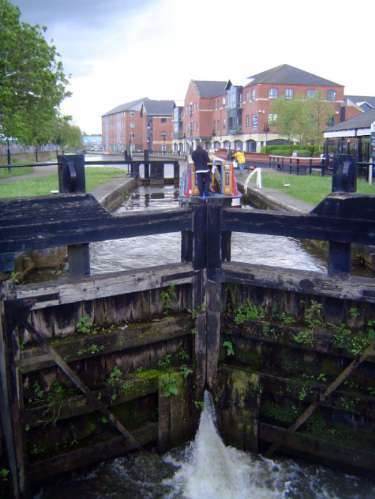 Five minutes later, the lock is full; the lower gate is tight, and the upper one swings free. 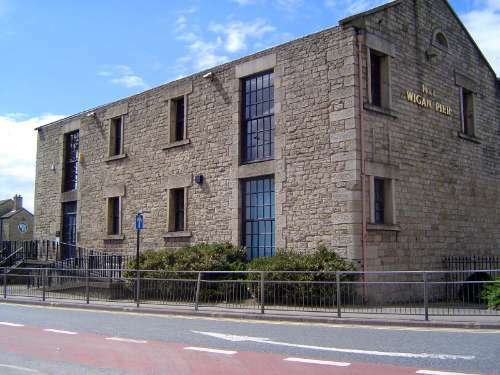 Off to one side, the Council Building, a one-time textile mill. You can see from the state of the windows the ongoing restoration work. 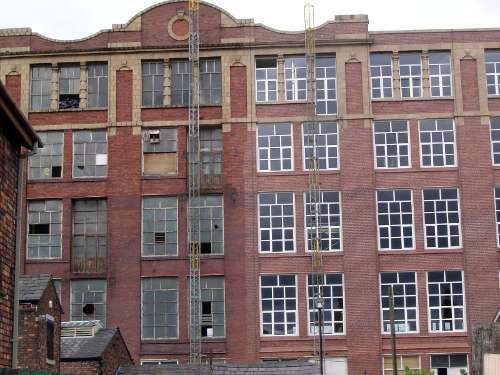 You don't have to be very old in Wigan to remember when the shifts changed and the factory girls came out in a stream and unwittingly dispensed to the breeze a white cloud of cotton fibers that had settled on their clothes. 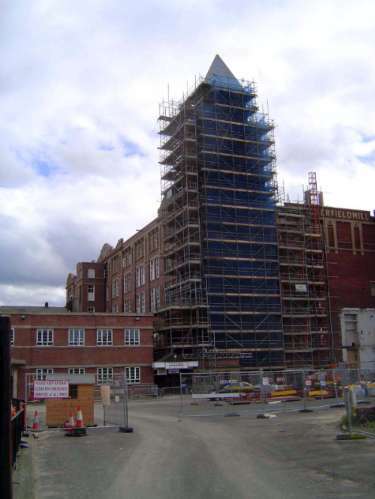 You can only wonder what Orwell would make of the mill today, renovated into apartments. He writes, in Chapter 8: "Of course it is obvious now that the upper-middle class is done for." Well, not quite, judging at least from the buyers of these apartments. 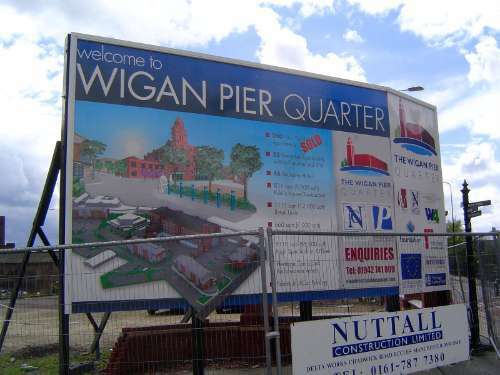 And here is the presumed location of Wigan Pier. 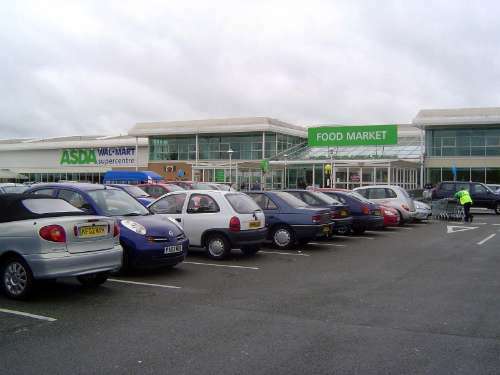 In Chapter 4, Orwell writes of himself: "Mr Orwell was 'set down' in Wigan for quite a while and it did not inspire him with any wish to vilify humanity. 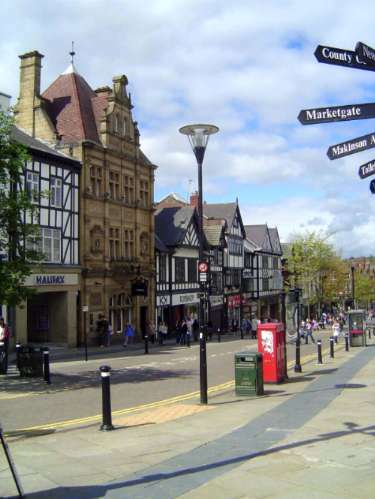 He liked Wigan very much--the people, not the scenery. Indeed, he has only one fault to find with it, and that is in respect of the celebrated Wigan Pier, which he had set his heart on seeing. Alas! 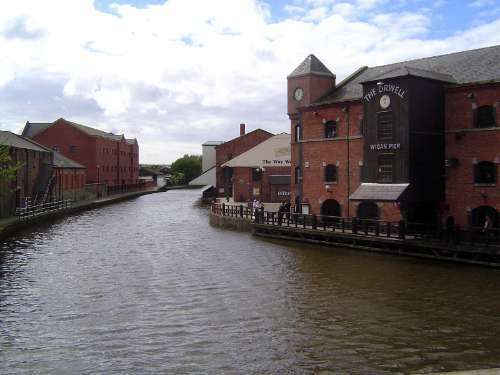 Wigan Pier had been demolished, and even the spot where it used to stand is no longer certain." Tourists settle now not for the pier but for a pub named Orwell. Another mill is converted to work spaces. The old canal house becomes a tourist attraction. 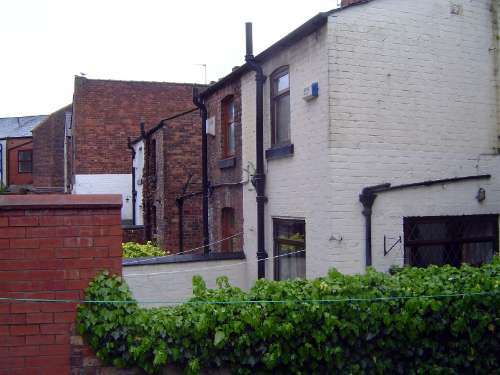 Here's housing about as close to the grim boarding house which Orwell describes so painstakingly, right down to the host handing his lodgers a piece of bread held between unspeakably dirty fingers. 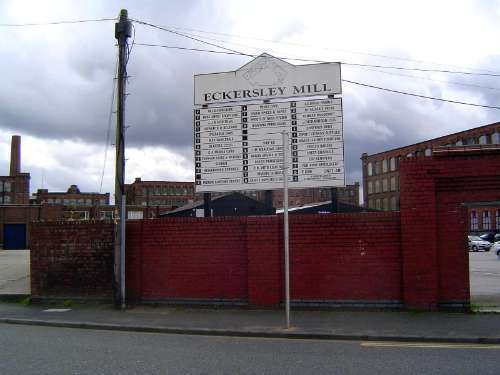 In Chapter 4, Orwell writes: "As you walk through the industrial towns you lose yourself in labyrinths of little brick houses blackened by smoke, festering in planless chaos round miry alleys and little cindered yards where there are stinking dust-bins and lines of grimy washing and half-ruinous w.c.s. 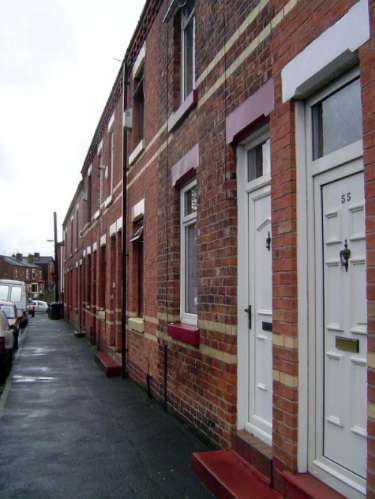 The interiors of these houses are always very much the same, though the number of rooms varies between two or five. All have an almost exactly similar living-room, ten or fifteen feet square, with an open kitchen range; in the larger ones there is a scullery as well, in the smaller ones the sink and copper are in the living-room. At the back there is the yard, or part of a yard shared by a number of houses, just big enough for the dustbin and the w.c.s. Not a single one has hot water laid on. You might walk, I suppose, through literally hundreds of miles of streets inhabited by miners, every one of whom, when he is in work, gets black from head to foot every day, without ever passing a house in which one could have a bath. It would have been very simple to install a hot-water system working from the kitchen range, but the builder saved perhaps ten pounds on each house by not doing so, and at the time when these houses were built no one imagined that miners wanted baths." Ironically, the mines are closed now and the houses have baths. The High Street, not in bad shape. 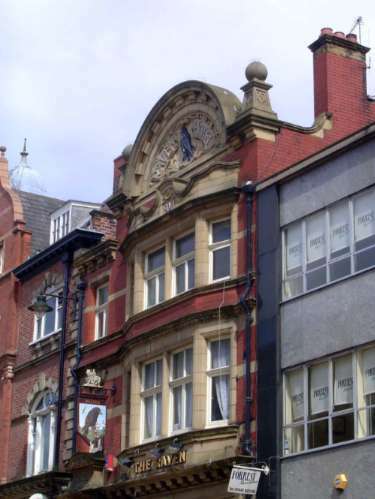 Victorian facades, deplored in Orwell's time, have come back in style, under the guise of heritage. 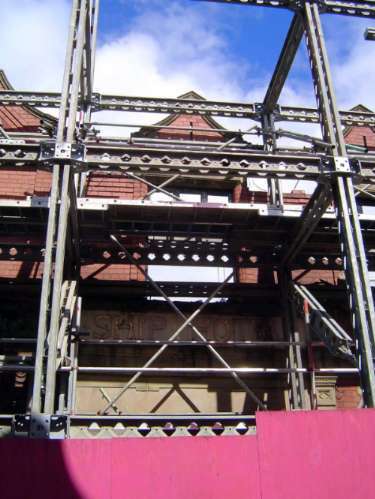 Redevelopers go to considerable lengths to preserve the old brick. A new shopping center in an old mill. A few blocks away, at a spot big enough to accommodate a parking lot, Wal-Mart is up and running.